FileMaker Blog - Productive Computing, Inc. Interested in learning more about FileMaker products or hosting, Productive Computing plug-ins and apps or how to create unique solutions for your business? Subscribe to our newsletter and have a look through our blog posts! Big News! Well, if you’re a QuickBooks user or thinking of getting started with QuickBooks then this is big news! We are officially an authorized Intuit Reseller – meaning we can save you money on your QuickBooks licensing. As some of you may remember, a while back we offered three Outlook Integration plug-ins: SendMail, Outlook Manipulator, and Exchange Manipulator – all were sold at three different price points and offered a variety of different functionality. Now we’ve brought back our Exchange Manipulator plug-in, but made it server-side. With the advent of FileMaker Cloud (FMC), we took a close look at our list of plug-ins and selected the one we felt was the best candidate for Linux compatibility. 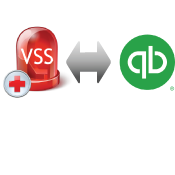 This blog provides step-by-step instructions on how to connect your Vessel Service Solutions file with your QuickBooks Online account. FileMaker 16 Server was released on May 9, 2017, and with it came an impressive increase in capacity. This optimization will make it even easier for companies to scale their solutions and deal with increases user connections. We now have a free utility tool for Macintosh-based developers that works hand in hand with the Outlook Manipulator plug-in for Windows. Back in February, Productive Computing’s CEO, Marc Larochelle, was invited to speak to the Association for Computing Machinery (ACM) club at California State University San Marcos.